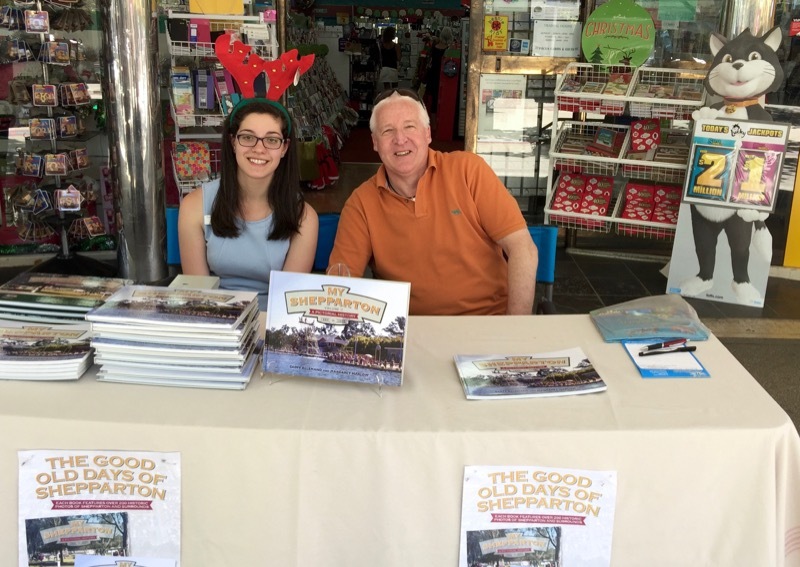 Lost Shepparton (Geoff) and Shepparton 50s, 60s & 70s (Margaret) have collaborated together to produce 2 coffee table photo books of Shepparton's historical photos from the very early years through to the 1990s. Volume 1 was a great success with 1,500 copies sold over 12 months. In 2015 we launched Volume 2 and reprinted Volume 1 (hardcover only). "I would like to give a huge thank you to everyone who was involved with the My Shepparton..a pictorial history 1860 to 2000....I have lived in Shepparton for 44 years and it's lovely to see where it all began and how our livelihood has changed over the years ..from horse and cart to the newest model car...although I would have liked a picture of then and now on the same street as I became confused a lot of the time..with so many buildings being demolished and new ones built in its place. 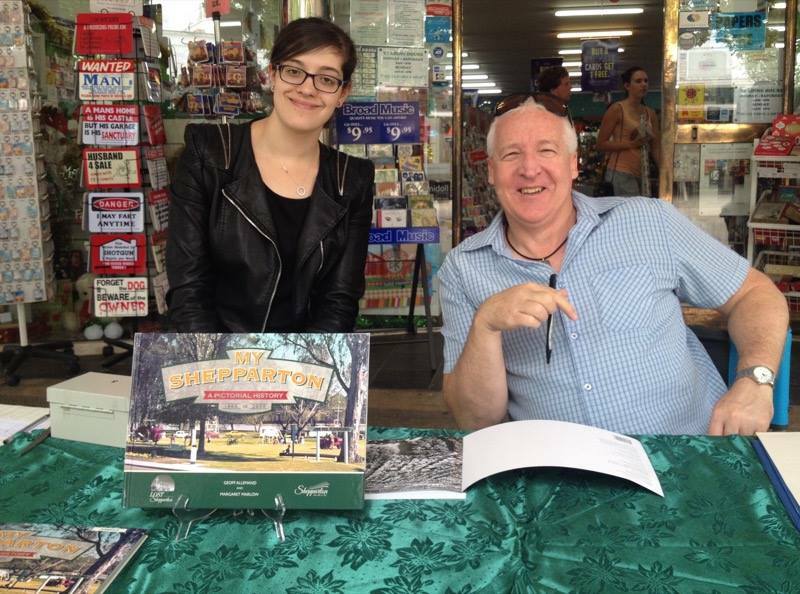 Lost Shepparton & Shepparton 50's 60's & 70's, Geoff Allemand & Margaret Marlow. You have all excelled in your accomplishment. Well done!"